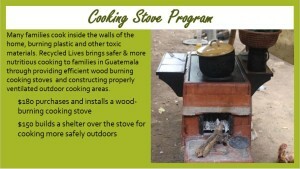 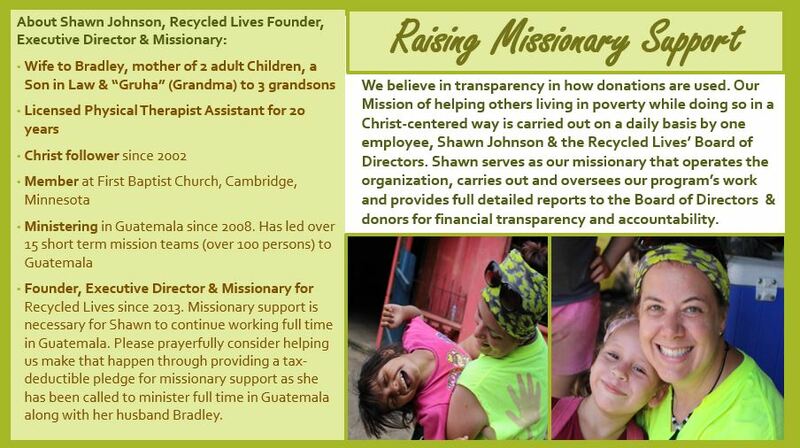 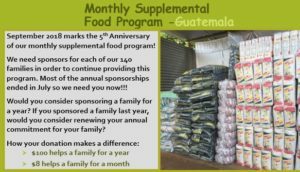 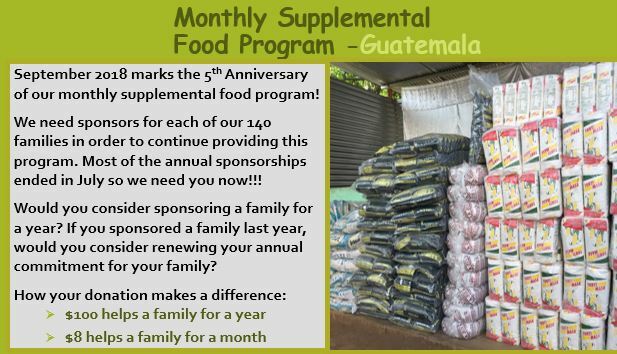 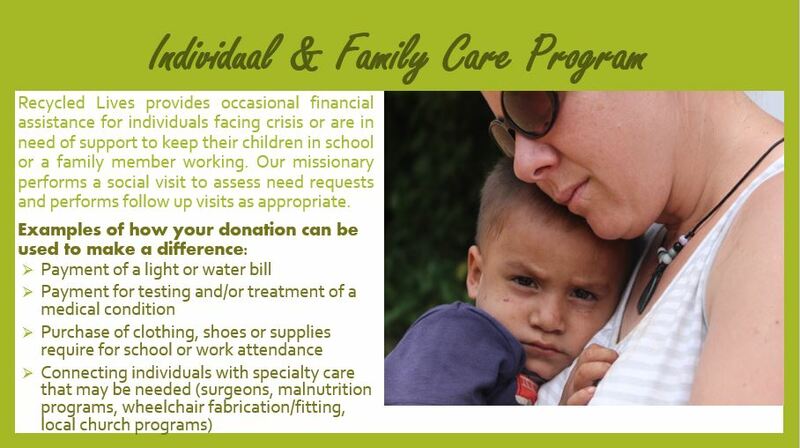 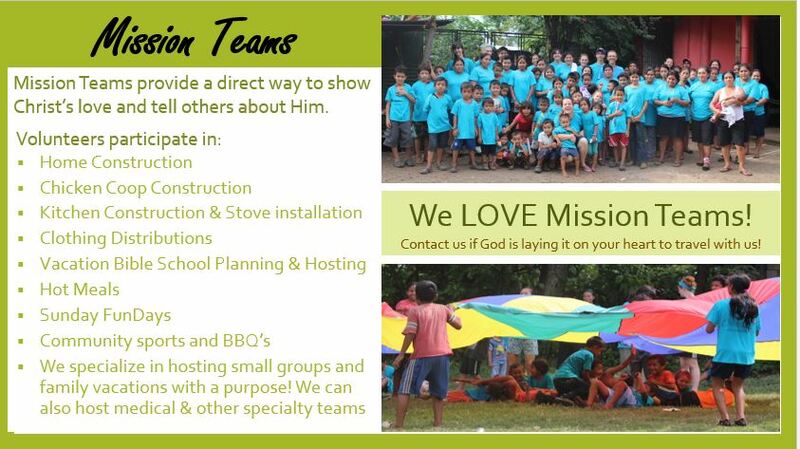 Recycled Lives is committed to carrying out the following ministries in response to the needs of our Guatemalan friends. 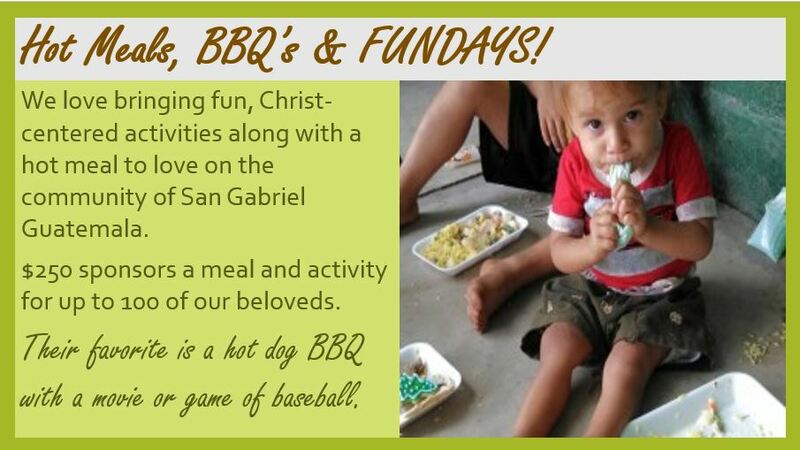 We invite you to prayerfully consider how you might be able to financially support these efforts. 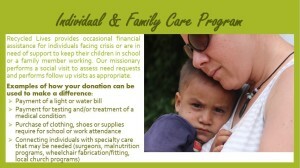 Deuteronomy 15:11New Life Version (NLV) 11 The poor will always be in the land. 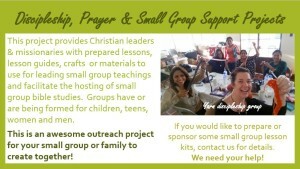 So I tell you to be free in giving to your brother, to those in need, and to the poor in your land.